Did Adolf Hitler ever address the fact that his own appearance was almost an exact opposite of what he considered the ideal Aryan appearance? 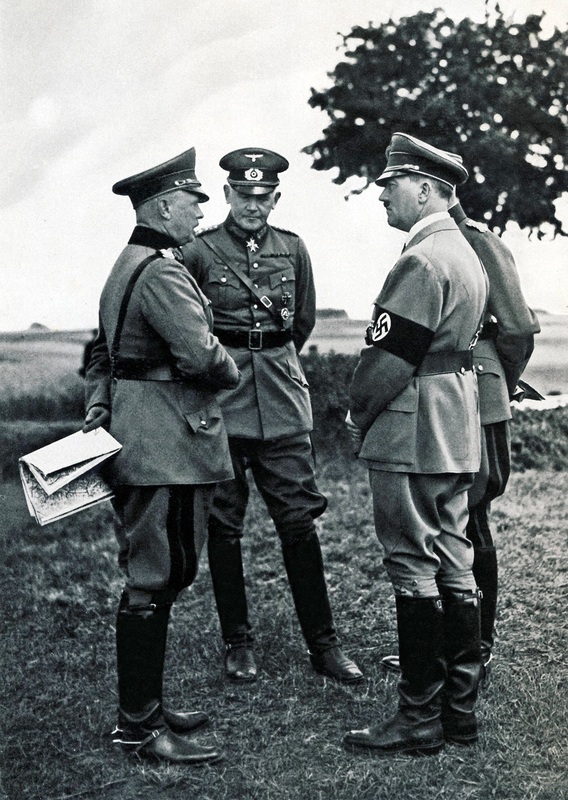 Hitler's ideal Aryan / Nordic appearance was: tall, blond, blue eyed, broad shouldered. 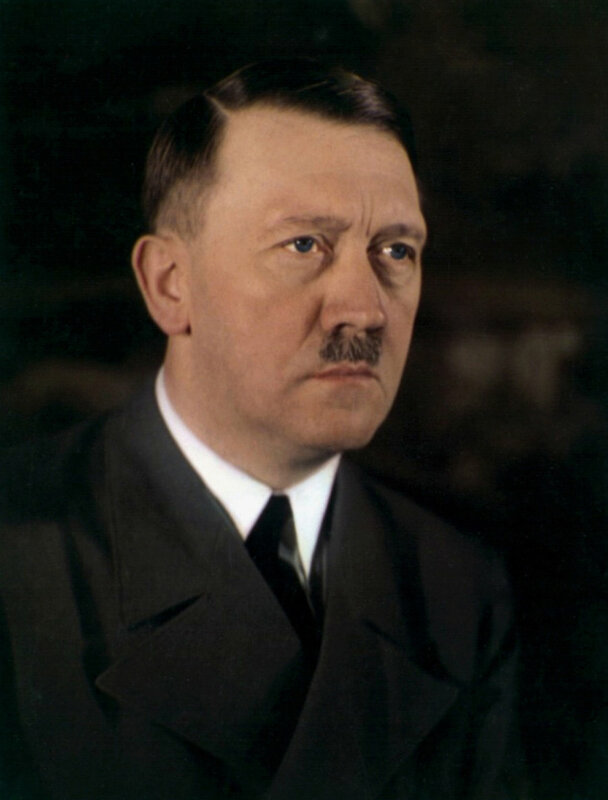 Hitler's own appearance was: short, dark haired, brown eyed, slight and slumpy shoulders. And most of the Nazi leadership came up pretty short on Aryan / Nordic features. Did they ever address this? Did anyone else ever bring it up or point a finger about it? For once that was an ideal. And a goal. To be 'restored'. By racial breeding and struggle. And it was readily apparent to really everyone that not every German was blonde. To which race do Europe’s peoples belong? The peoples of Europe do not belong to a particular race, but are rather a racial mixture. Our German people is comprised primarily of six races. The Nordic, the Pfalzish (fälische), the Western (westliche) the East Baltic (ostbaltische), the Ostic (ostische), and the Dinarish (dinarische) races. The German people is, along with the English, Danish, Norwegian, and Swedish, the most racially pure of the European peoples. With regards to the purity of language, the Scandinavian peoples are in first place. And within this 'system' Hitler may be grouped into x% Nordic, y% Dinaric or Ostisch (alpine) and some other colours. That is Southern branch Aryan mainly, not pure, not ideal, but OK (p121). And bein' a Führer should clearly indicate that the Nordic component is, well, "dominant"? And of course, if 'needed', that system was flexible enough to dismiss the 'science' altogether and allow the adage being ascribed to Göring: "Who is Aryan/Jew is what I decide!" Q Did they ever address this? Sometimes they did. During his table-talks Hitler mentioned that for example among ancient Germans it was known that already among the Goths they were known to have non-blondes as well. (Translation: We all suffer from the infirmity of mixed, corrupt blood. How can we purify and atone for ourselves? … The eternal life which the Grail bestows is only for the truly pure, nobles! Den Gedanken, daß Hitler ein Ausländer ist und von der gegnerischen Presse jahrelang als Ausländer beschrieben und in gemeinst verfälschten Bildern gezeigt wurde, möchte ich somit restlos beseitigt haben. Hitler ist blond, hat rosige Haut, ist also rein (arisch-) germanischer Natur, und alle anderen Verbreitungen über sein Aussehen und seine Persönlichkeit hat die schwarze und rote Presse in die Volksseele gesät, was ich hiermit richtiggestellt haben möchte. Tobias Ronge: "Das Bild des Herrschers in Malerei und Grafik des Nationalsozialismus: eine Untersuchung zur Ikonografie von Führer- und Funktionärsbildern im Dritten Reich", LIT: Münster, 2010, p 242. More general information on the 'exact' definitions (they are all incongruent and convoluted, with competing theories that cannot be reconciled) a nazi centric starting point would be Hans F. K. Günther who wrote Rassenkunde des deutschen Volkes. Q Did anyone else ever bring it up or point a finger about it? "Wie sieht ein echter Arier aus? –– Blond wie Hitler, groß wie Goebbels und schlank wie Göring und keusch wie Röhm! 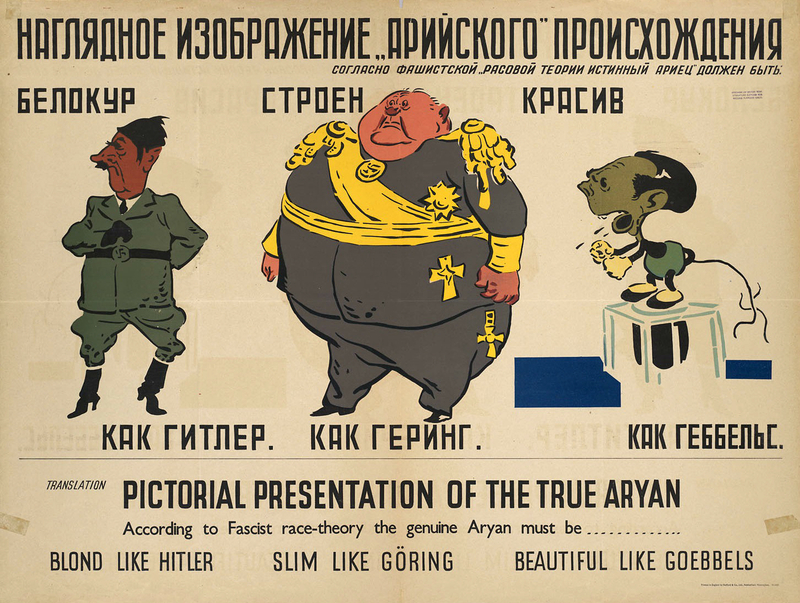 What does the ideal Aryan look like? –– Blond like Hitler, tall like Goebbels, slim like Göring and chaste like Röhm. That his enemies within his own party have started the rumours might not surprise anyone who expects sever infighting in a still tiny political club of disenfranchised haters in 1921. But these allegations of outright Jewish descent for Hitler himself didn't bother the man until his nephew wrote that to him in a letter in 1930. 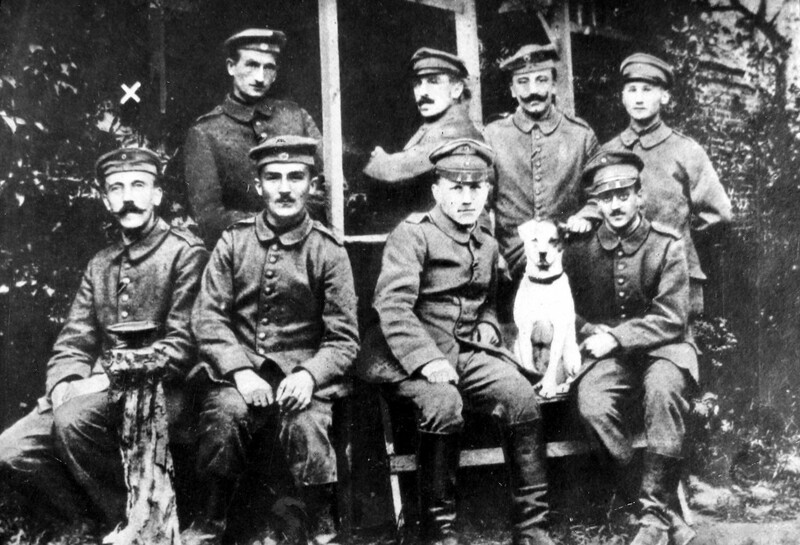 Hans Frank was tasked by him immediately to evaluate that allegation and came up empty handed. But in 1942 Himmler took up that the line, failing likewise, as one of his grandfathers is just unknown. In the meantime the propaganda abroad picked up the existence of a Jewish gravestone in Bucharest with the name of "Adolf Hittler" on it, drawing far ranging conclusions of dubious quality. Only once – it was already in the year 1919 – did Adolf Hitler slip out of a remark which shows that he considered valuable what the NS ideology later declared reprehensible: Inbreeding. At that time he explained how "the Jew in general preserved his race and its peculiarity more sharply than many of the peoples among whom he lived" – "by inbreeding thousands of years old, often carried out in the closest circles". Inbreeding was indeed an idea that he could certainly related to. 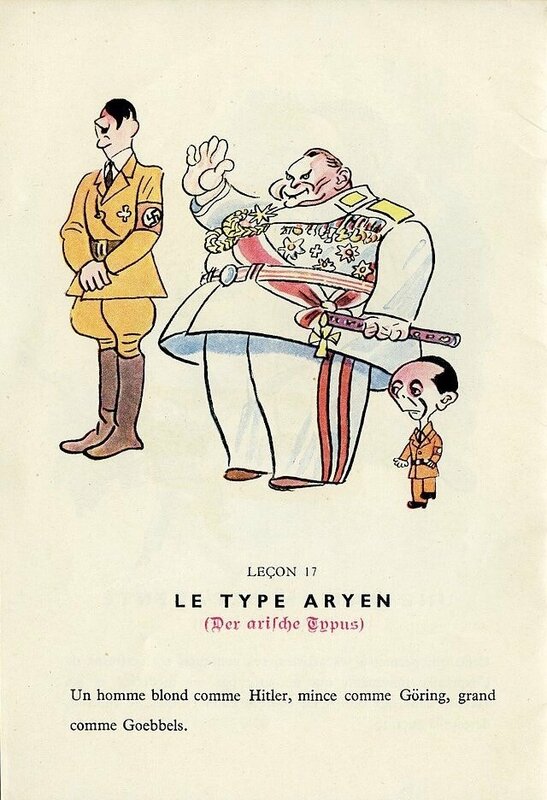 Tiny commentary: it seems that quite some care has to be taken in balancing the description of internal discrepancies and logical pitfalls of racial theories versus using this information to just say that "Hitler was no Aryan himself". The latter is a captive of these theories and somewhat resembling an accusation towards nazis that 'they weren't racist enough'. Not the answer you're looking for? Browse other questions tagged hitler racism nazism or ask your own question. Did JFK really say “Hitler is one of the greatest men…one of the most significant figures that ever lived”? 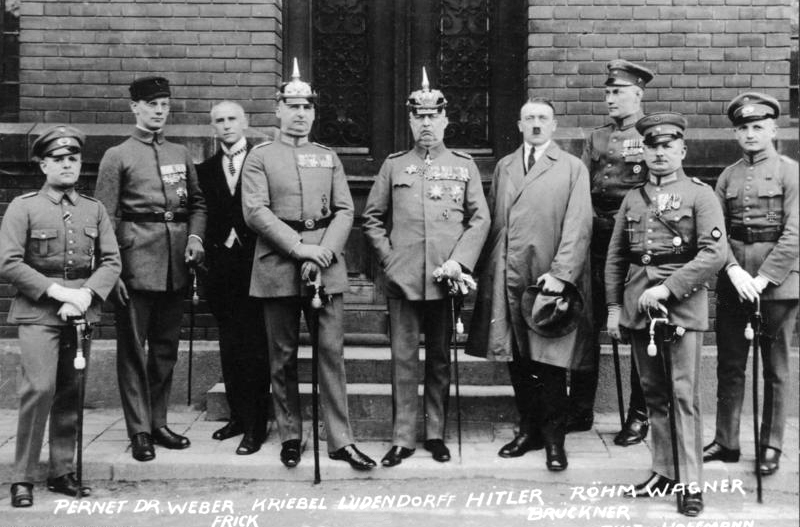 Was there a constitutional mechanism to overturn the election of Adolf Hitler? Did Hitler really keep the blueprints of the current Nebraska state Capitol building in the drawer of his desk? What, if anything, did Hitler think of the Canadian government's treatment of the Native Americans? What level of public support did Adolf Hitler have in his final year of power?